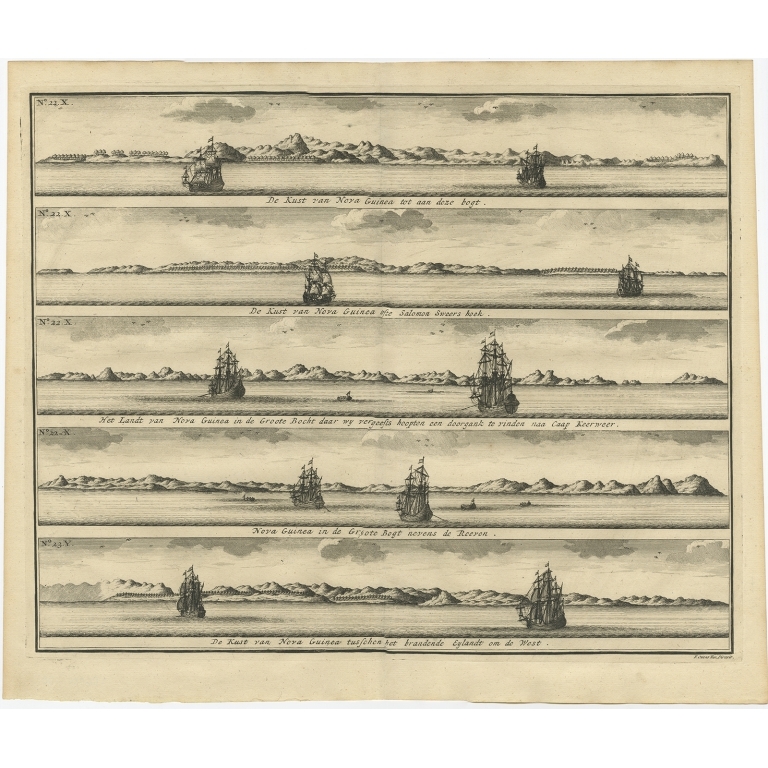 Description: Antique print titled 'De Kust van Nova Guinea tot aan deze bogt (..)'. 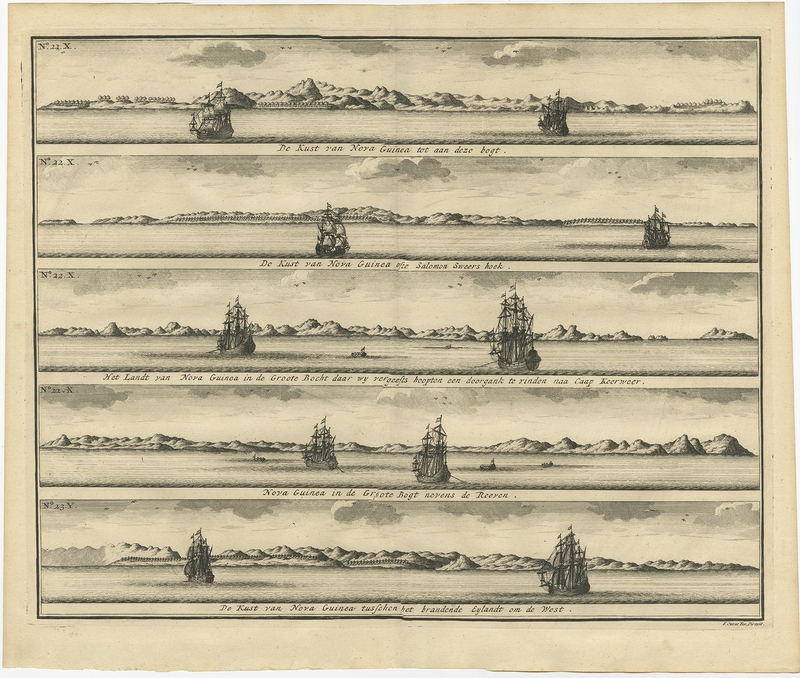 Four coastal view of New Guinea, with ships in the foreground. This print originates from 'Oud en Nieuw Oost-Indiën' by F. Valentijn.